Nathan Askew was born in Sikeston, Missouri in 1977. He grew up hunting and fishing in rural Missouri. From an early age he was expertly versed in various hunting methods, equipment and outdoor skills. He acquired a B.S. in Biology from Truman State University in 2000 with a focus on life science and animal biology. A short stint in "Corporate America" led him to chase his childhood dream of hunting professionally in Africa. After pursuing numerous dead-ends he was offered an apprenticeship in Wild Africa. A letter of resignation and two weeks later he found himself in Mozambique with his backpack and a borrowed large caliber rifle. Bullet Safaris offers all types of African hunting safaris and tours throughout Africa. We specialize in dangerous game hunts and have exclusive concessions in Tanzania, Mozambique, Botswana, and South Africa. Our hunts are custom designed. Please use our website and brochure as a guide to help decide what type of safari experience you want. We will generate a unique itinerary and individualized quote for you after a thorough consultation. Bullet Safaris is an American owned company hunting in Africa. We promote, book, and conduct all of our safaris. We are fully licensed as Professional Hunters and Outfitters. We use our exclusive areas. We are not a booking agency for Africa and we do not hand our clients off to other operators. Bullet Safaris has the expertise and on the ground knowledge to see our clients through every aspect of their safari. So whether it's a 5 star luxury vacation or a wilderness dangerous game hunting safari, you have landed with the right company. Please contact our many references, they are more than happy to discuss the quality and personality of our company. Feel free to research us via our published articles, videos on youtube at bulletsafariscom http://www.youtube.com/user/BulletSafarisCom or at The Hunting Report http://www.huntingreport.com. We work hard and love what we do. You can rest assured that we will look out for your best interests in Africa. Please take the time to explore this website and please contact us to start planning your next adventure. 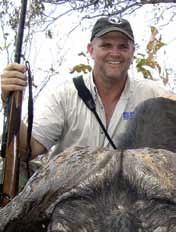 Dangerous game professional hunter and owner of Bullet Safaris. 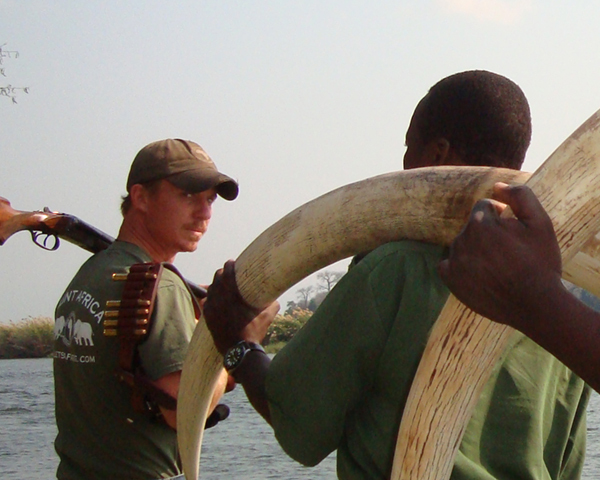 Full time outfitter and guide in Africa, New Zealand, and the USA. You will struggle to find a harder working, more experienced professional hunter anywhere in the world. His passion for hunting and adventure led him to Africa at a young age; his work ethic and integrity have insured the success of Bullet Safaris and its clients. For more information: www.bulletsafaris.com – www.iowatrophyhunts.com. Marketing Director for Bullet Safaris. Ronnie has a lifetime of hunting and international travel experience. In addition to handling many sales and marketing responsibilities, Ronnie is a professional hunter in training. 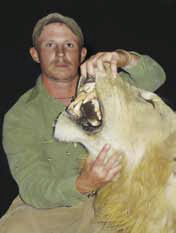 He has completed his South African professional hunters exam and is a veteran of many dangerous game hunts with Bullet Safaris. He is your go-to contact any time of year and can assist with any safari related details. Second generation South African born professional hunter. 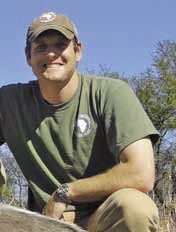 Craig has hunted all provinces of South Africa for top quality Plains Game trophies and several other African countries in the pursuit of Dangerous Game. He is also an experienced tour guide and a wing shooting expert. A true professional, Craig's experience and trustworthy nature make him a much needed addition to the Bullet Safaris team. He is a member of PHASA, South Africa Wingshooters and Shikar Safari Club International. Part bulldog, part pointer and all instinct. This 90-pound machine can literally fetch your impala. Cash can turn a poor shot into a recovered animal in a matter of minutes. His main duties are tracking and cutting down on petty crime. 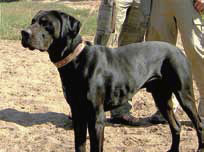 He has traveled the world working for Bullet Safaris and is Nathan's constant companion. 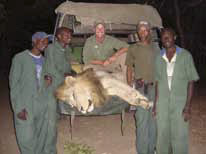 A host of other trained professionals are ready to meet your safari needs. Trackers, chefs, assistant cooks, laundry attendants, maids, laborers, and skinners are all skilled at their jobs and enjoy being on the hunt. It is their goal to make your safari as comfortable as possible.